Omg I'm super happy nao cox I finished my exams already! Although I kind of screwed up the paper lah but who cares it's over. Just hope there's moderation so that I won't need to repeat that module next year lol. So yes I'm like super free now for this week so here's an new entry! 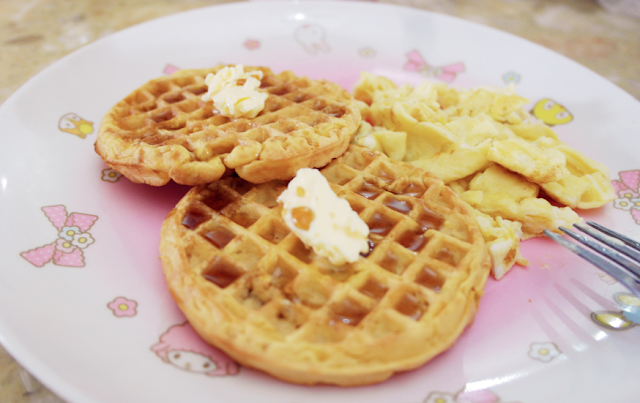 Since I don't have waffle machine at home, I bought the ready made ones from NTUC for $6+ if I didn't remember wrongly! There's 10 pieces inside so can last you for around 3-4 days I guess. I think you can get it from most of the supermarket stores lah hahaha. 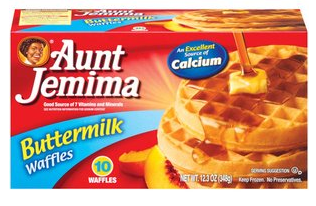 I'm using the Aunt Jemima waffles (the one shown above), doesn't taste exactly good on it's own though, too bland. Taste good with maple syrup though! 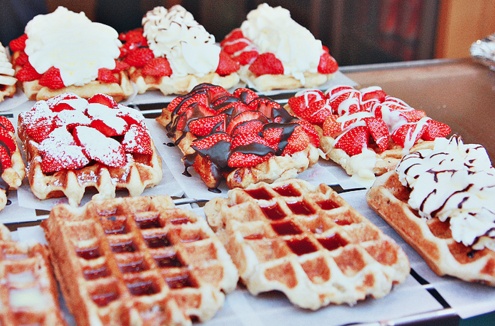 So you just put the frozen waffles into the oven for 6-8 minutes and wait for it to turn golden brown. 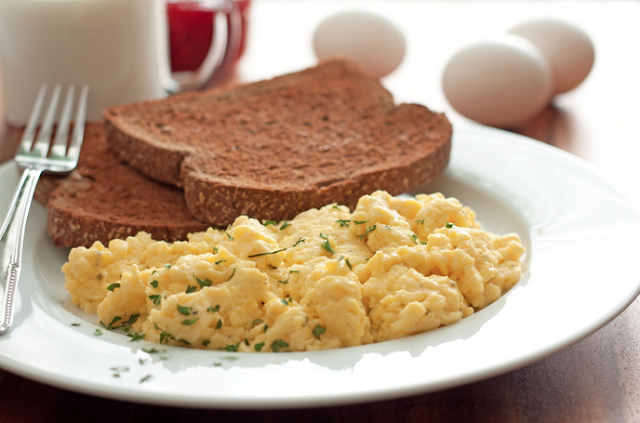 What's breakfast without scrambled eggs! 4. Mix well and pour the eggs into the pan and cook. 5. Add pepper if you like! The thing I like about scrambled eggs is that I no need to make it look nice since it's going to be scrambled anyways HAHAHA. Will blog again tomorrow! See you guys soon!